I’m not quite sure what I was thinking…it was 95 degrees outside and for some reason, I wanted to make a soup for dinner. Maybe it’s because it’s easy and filling…but then I probably should have served inside the air conditioned house as opposed to the steamy front porch. Anyway…Here’s the recipe. It’s delightful. I served it with a warm (again, bad idea) baguette and herb goat cheese spread. 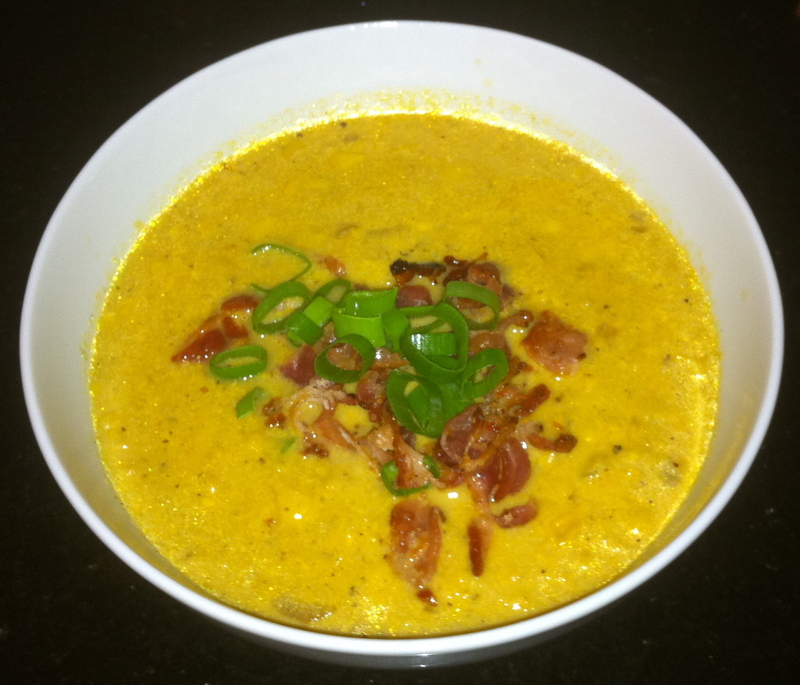 The smoked paprika is what really makes this corn chowder fantastic…I recommend buying it if you don’t have it, it will soon become one of your favorite spices to use. For a little twist to this recipe, add some shredded chicken breast. Cook the bacon in a large saucepan or Dutch oven over medium heat until crisp, 5 to 6 minutes. Transfer to a paper towel-lined plate. Spoon off and discard all but 2 tablespoons of the drippings. (I found there wasn’t much more than this in the pan anyway) Return the pan to medium heat. Add the onion and cook, stirring occasionally, until soft, 5 to 7 minutes. Add the garlic, paprika, and red pepper and cook, stirring, for 2 minutes. Stir in the corn, broth, and half-and-half and bring to a boil. Reduce heat and simmer for 15 minutes. Using an immersion blender, puree the corn mixture in the pot. Or, transfer half the soup to a blender and puree until smooth. Return to the pot and stir in ½ teaspoon each salt and pepper. 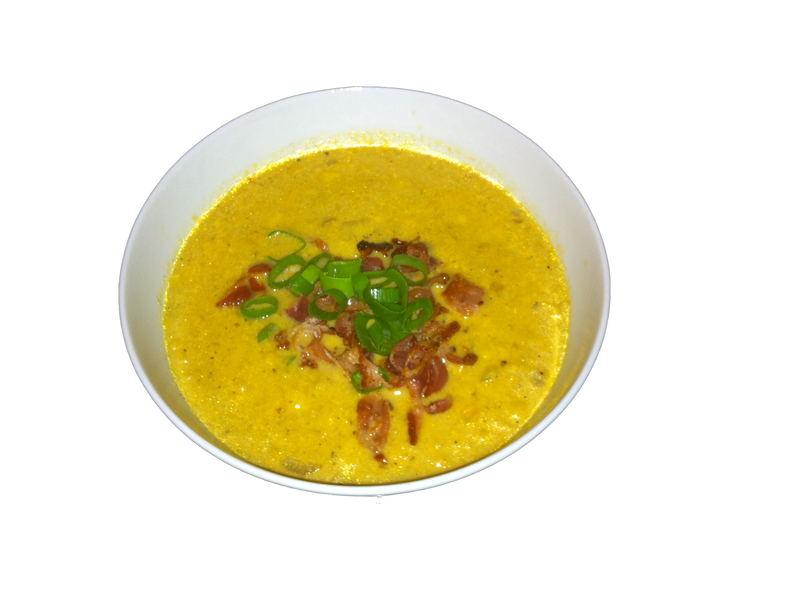 Divide the soup among bowls and top with the scallions and chopped bacon.